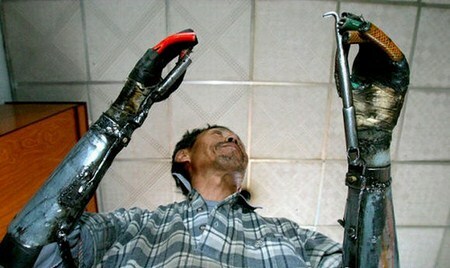 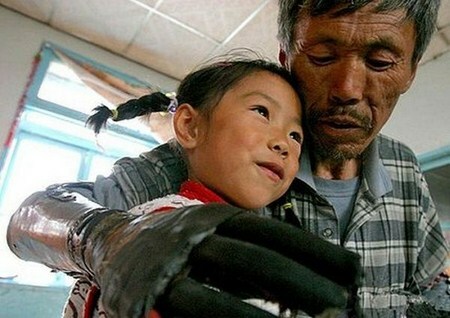 Sun Jifa, 51, lost both his hands when a bomb he was creating for blast fishing in Guanmashan, Jilin province, northern China, exploded. 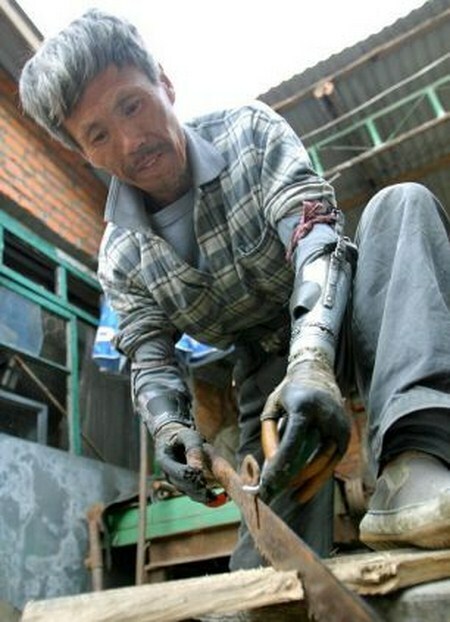 Then he finally created a new pair of arms after eight years of planning. 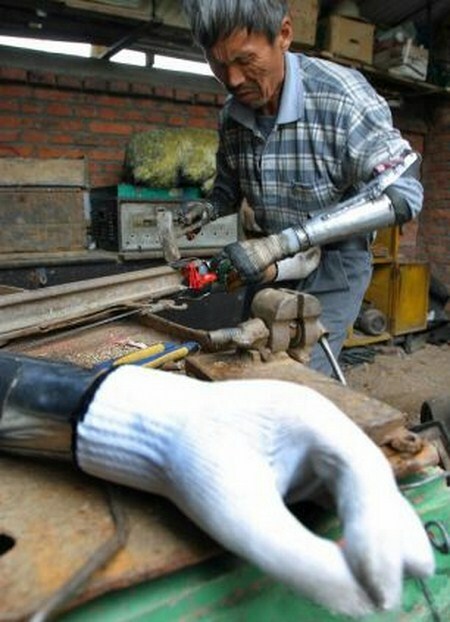 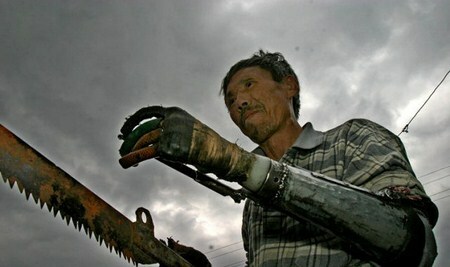 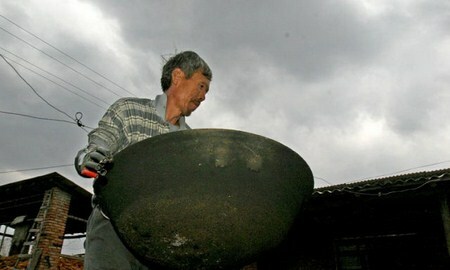 Sun Jifa could not afford the hospital's prosthetic limbs after the explosive for blast fishing detonated prematurely, but desperately needed the use of his hands to work on the family farm. 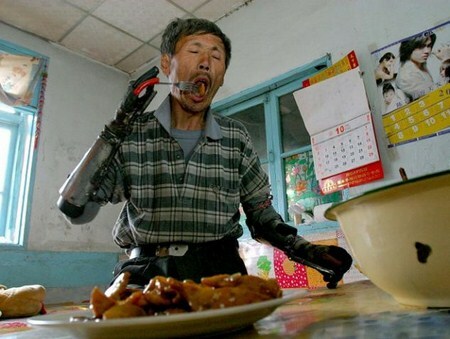 So, he decided to create his own bionic hands. 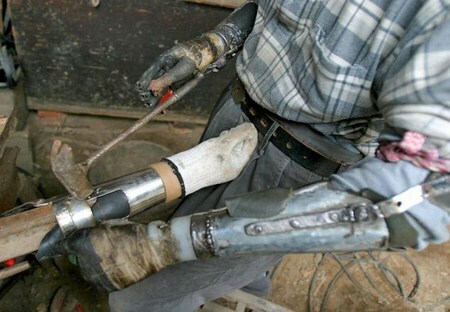 'I made this from scrap metal for virtually nothing. 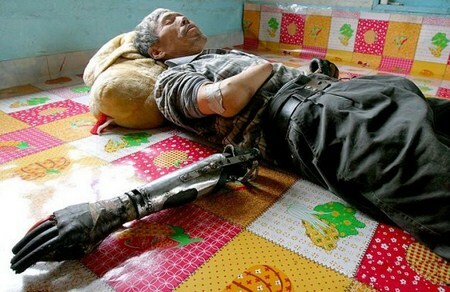 There is no need to pay hospitals a fortune,' he said.